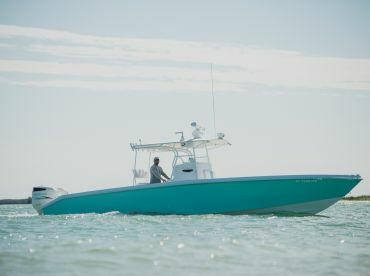 Tampa Bay offshore fishing is a chance to leave the coastline and explore the waters in the infamous Gulf of Mexico. 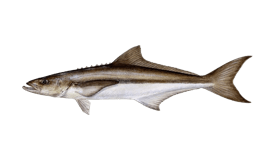 Out here you can fish for Amberjack, Cobia, Snapper, Grouper, King Mackerel, Mahi Mahi, and more. Whether you are in pursuit of a fast-swimming pelagic or a tasty bottom fish to enjoy for dinner, these waters have it all. 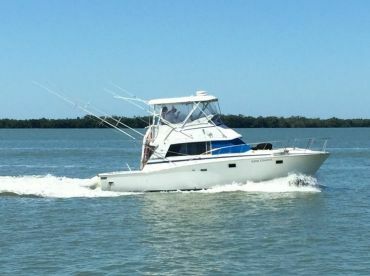 Tampa offshore fishing charters usually leave from Clearwater and the St Pete area, giving you direct access to the Gulf and its many wrecks and reefs. Some of these charters stay relatively close to shore, but a true offshore experience should take you at least 20-30 miles out. The farther from shore you sail, the bigger the fish will be. 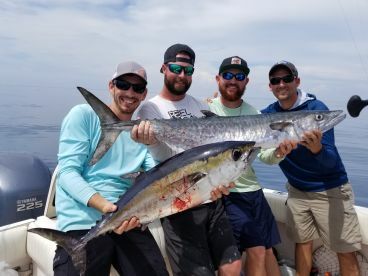 If it’s a pelagic trophy you’re after, you’ll enjoy Tampa Bay’s offshore fishing scene the most in summer. This is when you can catch Barracuda, King Mackerel, Mahi Mahi, Wahoo, and Sailfish, among other deep sea species. Your chances of landing these fish are best on an 10-12 hour trip, fishing anywhere from 60-100 miles out. 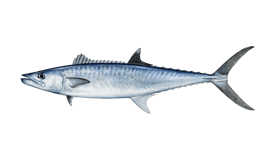 King Mackerel and Barracuda peak in spring and again in autumn, often coming close enough to shore to target on a half day trip. 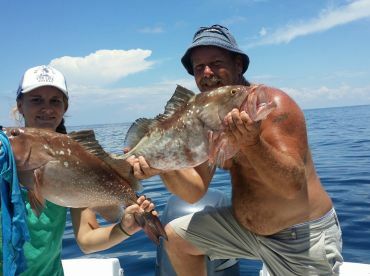 On the other hand, bottom fishing will yield Flounder, Sheepshead, Porgy, Grunts, and a variety of Snapper and Grouper. 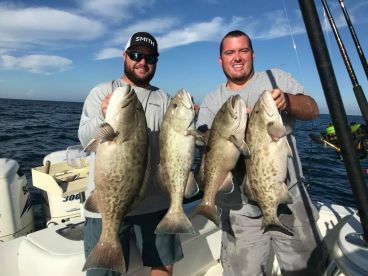 Gag Grouper, Scamp Grouper, and Amberjack are biting most in colder months, whereas Grunts, Seabass, Red Grouper, Mangrove Snapper, Red Snapper, Lane Snapper, and Porgy peak in the summer. Really large bottom fish are found on wrecks and reefs in the deepest waters of the Gulf, but you can target their smaller cousins within sight of shore. For a truly massive Snapper or Grouper, plan on boarding a 10-12 hour deep sea charter that will take you more than 60 miles from shore. Even though many species are biting throughout the year, keep in mind that some are closed to harvest during certain months. 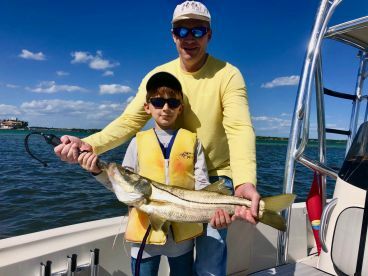 If you have your sights set on a particular species, ask your captain about it ahead of time or refer to the Florida Fish and Wildlife Commission to see what’s open for harvest. 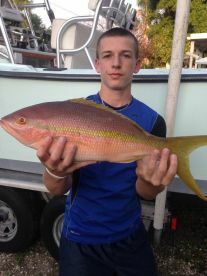 Tampa Bay offshore fishing is a combination of trolling and bottom fishing. You can troll or flat line for Mahi Mahi, Sailfish, Wahoo, King Mackerel, Barracuda, and Cobia. Even on charters where the primary focus is bottom fishing, you are likely to troll on your way to the fishing grounds. Bottom fishing the wrecks and reefs may involve still fishing, drift fishing, casting, or jigging. 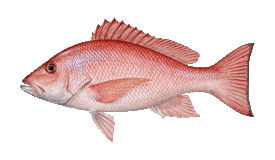 These methods are used to target fish near the seafloor such as Porgy, Grunts, Snapper, and Grouper. 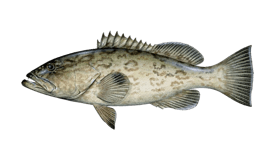 Anglers typically use dead bait such as sardines, mullets, pinfish, and frozen squid for Grouper and Snapper. Small live baitfish work best when fishing in heavily fished areas.